Located within the Americana Music Triangle, the Historic Roxy Theatre has been a beloved fixture of downtown Russellville since 1949. Just 16 miles south of Muscle Shoals and 58 miles northeast of Tupelo, Mississippi, the theatre serves as a venue for concerts, talent shows, recitals and movies. 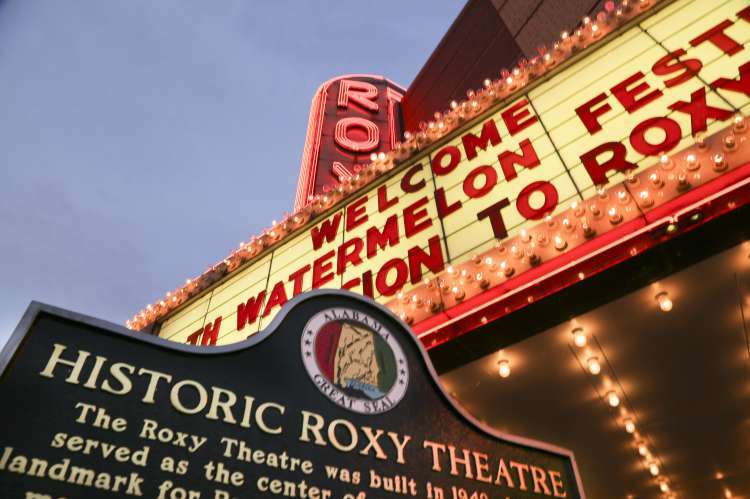 Every second Saturday night of the month, sounds of country music, rock ad roll, blues and gospel can be heard at the theatre during a lively music show called "Rockin' at the Roxy with The KGB."